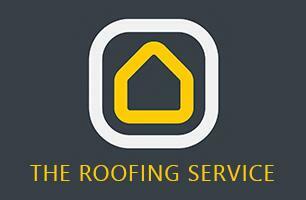 The Roofing Service - Fascia/Soffits/Guttering, Roofer based in Mapplewell, South Yorkshire. We are a small closely run roofing company, and thats the way we like it. It allows us to give each and every customer no matter how big or small the job is 100% of our full and undivided attention. We we’re established in April 2010. After a lengthy spell working for another company we decided to take the leap and go it alone and haven’t looked back since. With a good 8 years behind us and over 20 years of knowledge in the roofing industry we have 1000’s of satisfied customers, upon which we have built our 5 star reputation which is second to non. We are here to provide an all round good service from initial enquiry to final site inspection and customer care after that. We keep our workload high and overheads low enabling us to be as competative as possible. We do not have any pushy sales men that will sit in your living room for hours on end. We will book an initial appointment to suit you to carry out a site survey and full roof inspection. Our inspections normally only take around 20 minutes of your time to take measurements and a little information from you to enable us to provide you with a quotation. We will then work out a fully written, step by step process, fixed price quote with no obligations. We aim to have all quotations to the customer within 24 hours. This quote will also stand for 6 months. If you should decide to go ahead with us we will then aim towards a start date to suit you and keep you informed of any developments along the way. We have our own in house scaffold erectors that we are able to use on the majority of our installations thus not involving third parties and keeping the cost minimal. We then have specialist trained employees (no contractors) that are trained in different departments of the roofing field so no matter your requirements from fascias and guttering, flat roofing or major scale re-roofs you can rest assured you will get the right craftsmen for the job. After the job is complete and the site is left tidy you will then be invoiced, we do not accept any deposits or monies until the job is complete and you are 100% happy with the end product. Our goals are simple! To provide an excellent and stress free service for a fair price. We don’t claim to be the best, that’s up to you! We don’t claim to be perfect, mistakes can happen! But what we can promise is that we will not hide or cover up any mistakes all snagging will be rectified before we invoice you and we will carry out a final inspection with you to ensure you are 100% happy with the end product before you pay a penny. After the job is complete and the invoice is paid in full for peace of mind all our work comes with a 20 year workmanship guarantee. We are always here to help with any queries or just simple advice. If you do have any issues please call our head office on 01226 285 700 and we will be happy to help. Thank you for taking the time to view our page and considering us for your roofing needs. We hope you find what your looking for. Please pay close attention to our images of all our recent work. We understand that choosing a contractor to work on your biggest asset can be a little daunting, that’s why we’re here to help with any queries or even just a little advice whether you employ us or use another contractor you can still call us for any advice.